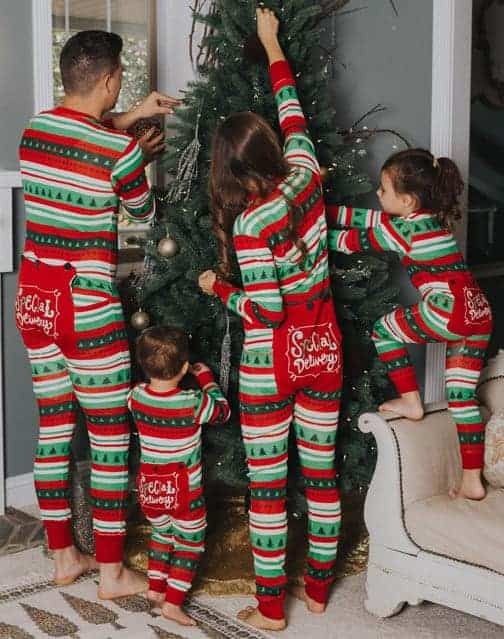 One of the best ways to get into the Christmas spirit is to have your whole family dress in matching Christmas themed pajamas. 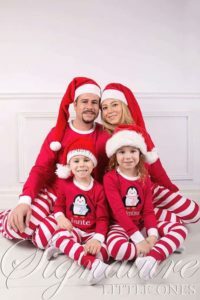 This trend has exploded over the last few years because it is a fun way to bring the family together and to add some playfulness to Christmas card photo shoots. There are all sorts of PJ sets available for different kinds of budgets, from the very cheap to personalized luxury options. As the popularity of festive coordinated ensembles continues to grow, more and more brands are jumping on the bandwagon so you should have no trouble finding a set that will fit your family’s style. 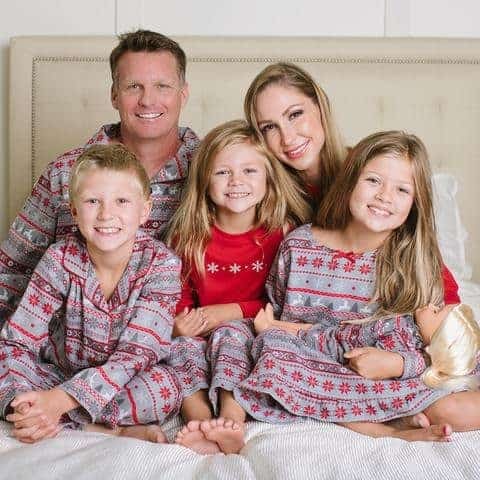 Hanna Andersson is an Oregon-based retailer that has been making family pajama sets for around 30 years, way before they became such a massive social media trend. 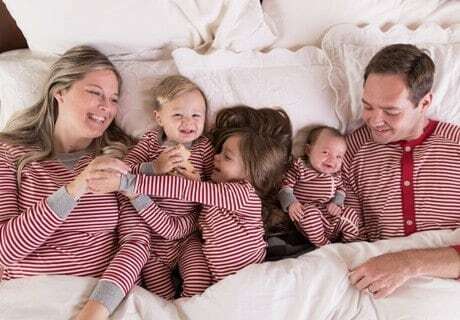 They specialize in high-quality and durable pajamas, that are made from softest organic cotton knits that are available. Most of their patterns are bright, festive and fun. Hanna Andersson pajamas are designed with comfort in mind, so they usually have smooth flatlock seams, are made with 100% organic cotton rib knit, and they have encased stretch waists, so they aren’t itchy or uncomfortable. Their family sets have a huge variety of colors and styles to choose from, with their long john style being particularly popular. 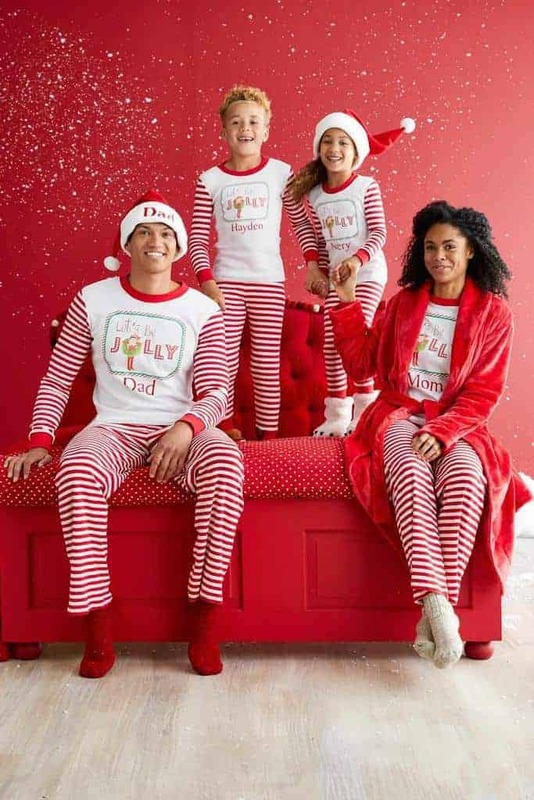 Target is many people’s go-to place for inexpensive, cute and quirky PJs that will suit your whole family. They have a wide range of different styles and themes, so there is sure to be something for everyone. Lazy One is the place for footed, long john or onesie styles PJs. For pure comfort, warmth and fun styles this brand is super popular. They have a style call FlapJacks, that has a decorative trapdoor with fun sayings and images that look super cute in pictures, especially on the kids. Check them out at LazyOne.com or Amazon. Kohl’s has some fantastic sets for the whole family that won’t break the bank. 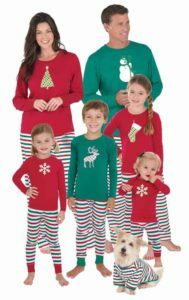 They have a vast selection of sizes, styles, and patterns with lots of different holiday themes. Etsy is a great place to look for coordinating family ensembles, especially if you are looking to personalize your sleepwear with your families names. Sometimes orders from Etsy take a little longer than from traditional stores, so order early so you won’t be disappointed. 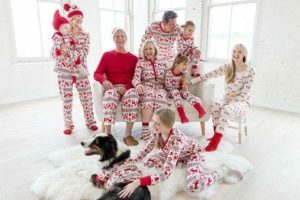 Pajamagram has been offering family PJ sets for over ten years, so they know what they are doing as far as sizing (they have a massive range of sizes) and knowing what their customers want (i.e., matching PJs for their cats and dogs). They also offer one of the biggest selections around, so there is something for everyone. Not only does the brand like to focus on ensuring that there are a variety of styles to choose from, but they also try to find the softest materials available for all of their products. 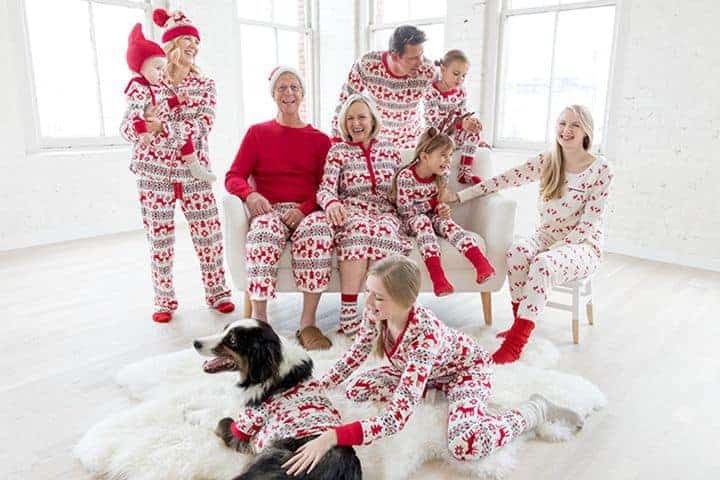 If you order from the Pajamagram site your items can be personalized. Find out more at Pajamagram.com and Amazon. Sleepytime PJs are an inexpensive option that offers some nice Christmas themed, Nordic, and various winter patterns that can work well as holiday sleepwear. Chasing Fireflies have some cute styles for kids and adults that all have the option to be personalized. The Elf on The Shelf family set is especially nice, and they also have a Nordic pattern, advent calendar themed, holiday football style and much more. Macy’s has a few different options to choose from that are moderately priced and good quality. 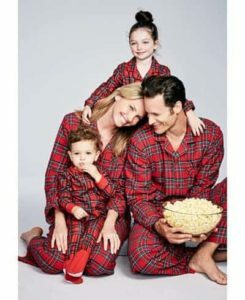 The holiday plaid set is one of their most popular, with a lot of different styles to choose from in the plaid fabric. The Company Store has a great selection of beautifully patterned Christmas prints. Their high-quality PJs are made of soft cotton and brushed flannel, so they are super cozy and warm. They have pet PJs, as well as styles for men, women, and kids. If you have ever come across a baby wearing a sleeper from Burt’s Bees, you may have felt a little jealous over the soft, organic cotton fabric and wondered to yourself how you could get yourself one of their super sweet onesies. You are not alone, because Burt’s Bees have created a line of family jammies so that everyone can feel like a little tiny baby. Not only do they offer a onesie style, but you can also get a simple PJ style in their incredibly soft cotton. These PJs are very luxurious and not overly expensive. They come in a candy cane stripe Holiday pattern or an Organic Rugby Stripe that is also very festive looking.